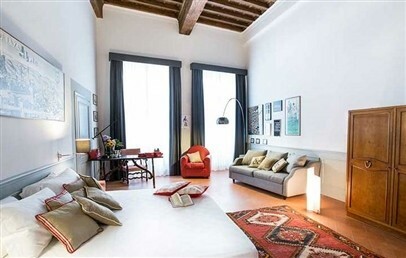 SoprArno Suites is located in the historic centre of Florence, in a restricted traffic area. Santa Maria Novella Station is 1 km away; Amerigo Vespucci Airport is 6 km away. 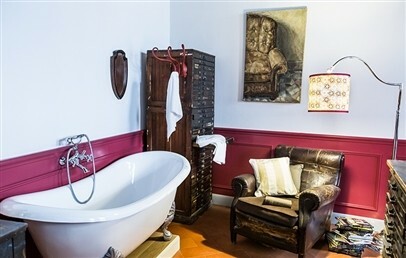 SoprArno Suites is a bed & breakfast laid out over the first and second floor of a 16th century building that has been carefully and lovingly restored by a team formed by a solicitor passionate about art and antique furniture, an architect, a carpenter and a graphic designer. 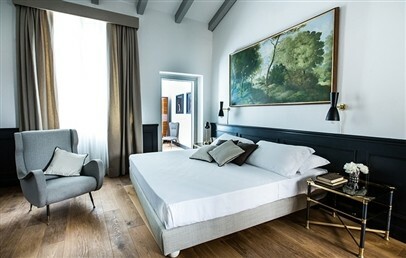 Its 10 rooms have all been finished and decorated with one objective: making sure guests wake up in a room with a unique style and real Florentine atmosphere. 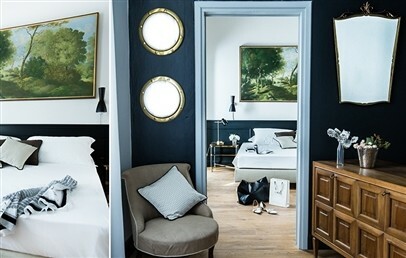 Each room is unique, with exclusive or original period furniture. Superior – 23-28 sq.m, on two floors, king-size bed, bathroom with shower. Deluxe – 38-45 sq.m, double room, on two floors, king-size bed, bathroom with shower. 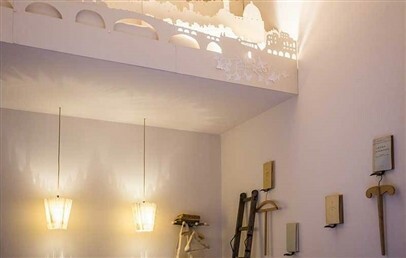 Possibility of a balcony. Breakfast is served in the kitchen area on the first floor. SoprArno Suites does not have a restaurant for lunch or dinner. Guests of SoprArno Suites can enjoy spending time in the communal areas, where they will find magazines, books and interesting, old records. There is a kitchen area available for guests. Small-size, well-behaved dogs are welcome. The car parks located nearby, outside the historic centre, charge approximately € 27 per day. Complimentary Wi-Fi connection is available throughout the premises. The city tax is € 4.80 per person per overnight, to be paid on-site. Superior rooms, available on both floors, feature handcrafted artwork and wood floors. They all have a unique and original design and comprise en-suite bathroom with shower, air conditioning and free Wi-Fi. Apple TV or DVD player on request,Google Chromecast on request. 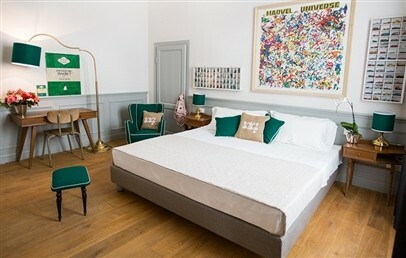 Deluxe double rooms are distributed on two floors, feature handcrafted artwork and wood floors or original, local cotto floors. They all have a unique and original design and comprise en-suite bathroom with shower, air conditioning and free Wi-Fi connection. Apple TV or DVD player and Google Chromecast on request. 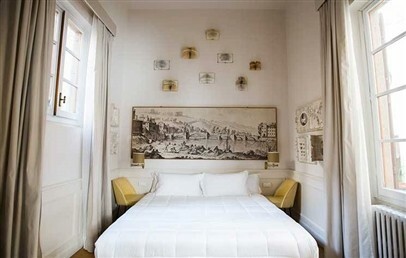 Deluxe double rooms are distributed on two floors, feature handcrafted artwork and wood floors or original, local cotto floors. 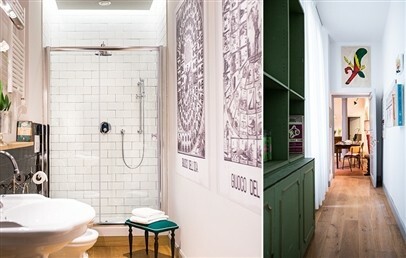 They all have a unique and original design and comprise en-suite bathroom with shower, air conditioning and free Wi-Fi connection. Apple TV or DVD player and Google Chromecast on request. The double Deluxe have furthermore a lovely balcony.